Auf 200 Stück limitierte und nummerierte LP im Klappcover + Insert und rotem Vinyl. 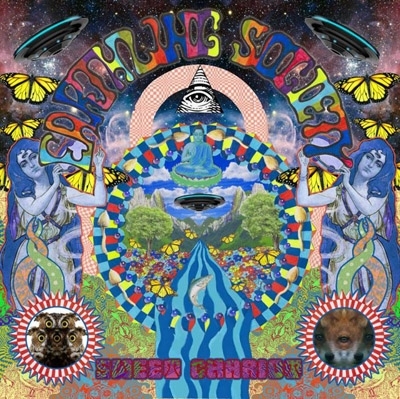 "Earthling Society formed Jan 2004 in Fleetwood Lancashire UK.Original line-up consisted of Fred Laird (guitars, keys and vox) David Fyall (Bass and hair) and Jon Blacow (drums and percussion).Influenced by the psychedelic scene of the 1960‘s and the Krautrock of CAN, Ash Ra Tempel, Popol Vuh and Amon Duul 2, The trio set up their own 8 track studio in the corner of a disused glass factory. The Three Seasons (Fruits De Mer) 3LP col.